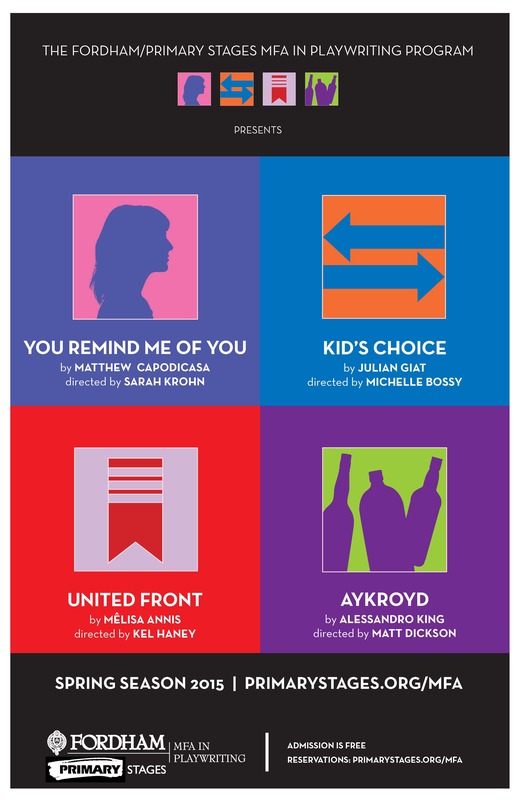 April 16 & 17 at 7:30 p.m.; April 18 at 3 p.m. & 7:30 p.m.; April 19 at 3 p.m. Girl meets boy. Boy has face blindness. Plus it’s really bad timing for the girl – she’s taking care of her father. But in the weird, mystifying, terrifying, and wonderful process of falling in love, will they figure out a way to make a life together, and discover how not to be alone? April 23 & 24 at 7:30 p.m.; April 25 at 3 p.m. & 7:30 p.m.; April 26 at 3 p.m.
High up in the clouds of a dilapidated London council flat, Corin a proud veteran of the first Gulf war has built him and his son a nest made of beer cans, crisp packets and pills. All is as it should be until an unexpected visitor wielding a series of forms and threatening change comes to the door of their concrete fortress. April 26, 27, 28, 29 at 7:30 p.m.
Two comedians are celebrating a milestone when one reveals he is newly single and sober. Can the two men roll with the punches? Or will a champagne-toting bellhop destroy their lifelong friendship? Lila, a former child actress, lovesick and desperate to be taken seriously in the adult world, is in for a difficult night when her source of pharmaceuticals cuts her off on the eve of her big date. She has a “Kid’s Choice Award” on display, but wants desperately to earn some token of adulthood to replace it with.